There’s no two ways about it but social media has clanged the shape (no pun) of how groms are getting sponsorships. Much like how one would send in a “reel” of a young football player to a university coach, YouTube has become the vehicle to where young surfers from around the world are getting plucked for sponsorship. 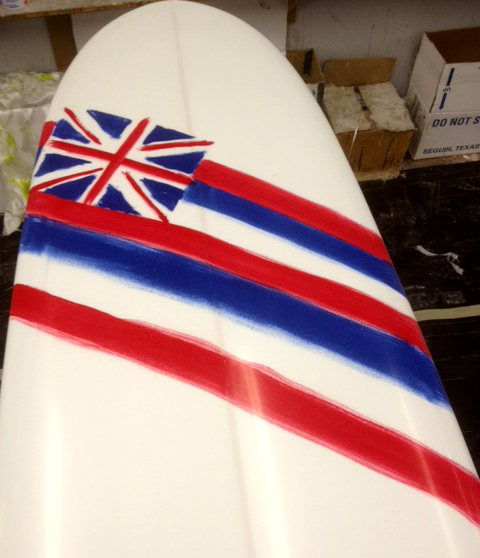 So here it is – just a taste of what’s coming out of the Hawaii Surf Factory for summer 2014. Newest into the Hawaii Surf Factory mix are surfboards shaped by North Shore shaper Pyzel. Yep, Pyzel of John John Florence high flying and sic barrel running fame. 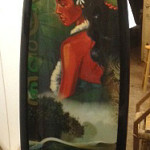 This was a custom board made for the Rell Sunn Foundation. Team Chronic at the Longboards Championships in China! Massive shout-out going to Rodrigo who got 2nd at the world champs and Keegan got 9th at the Riyue Bay ASP World Longboard Championships in China! 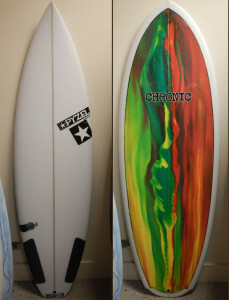 All of us at The Hawaii Surf Factory and Chronic Surfboards are real stoked for the guy who were RIPPING and REPPING. 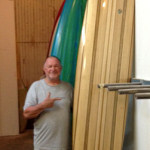 Mike Casey is proud to have just finished this 11’0 chambered, Balsa gun. The darker wood is red wood and the fin is Koa. 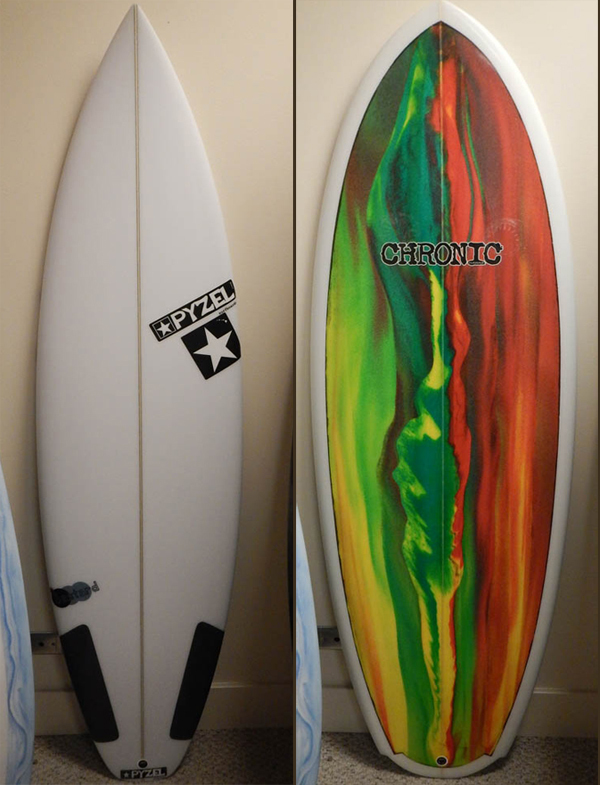 This board has sold for $8000. Otis is hamming it up for more instructional videos. 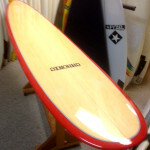 Grant from Fiberglass Hawaii has been filming every type of lamination. Once they are edited down they will be posted on You Tube. 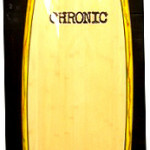 This is a performance long board shaped from 1.5lb EPS. The bottom is 6oz opaque lamination with a double 6oz deck over bamboo veneer. The gloss finish really makes the bamboo look good. We were using this construction on kite boards and they held up great. This is a long board with 1.5lbs EPS core with a Bamboo deck. The bottom is opaque red epoxy lamination and a silver pin line on the deck. We can vacuum bag a Bamboo deck on a long board for $125 and $75 for a short board. 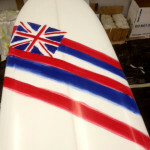 This is a hand painted Hawaiian flag, all free hand on a white opaque lamination.